Geez, it's already football season? Thursday night saw the annual NFL Hall of Fame induction ceremony and preseason football game. 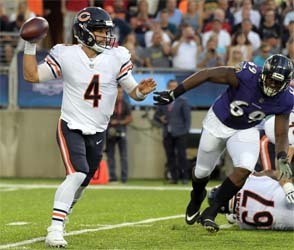 The Bears and the Ravens played the game, which finally gives us Bears fans a brief (and limited) glimpse of what new coach Matt Nagy's team might look like. 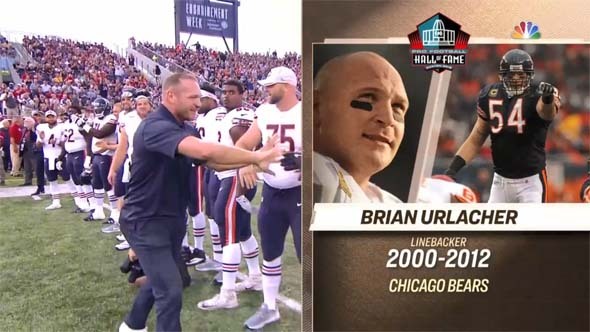 Brian Urlacher was inducted into the Hall of Fame prior to Bears playing the game. Perhaps my favorite player ever, Bears great Brian Urlacher, was inducted into the Hall of Fame prior to the game, alongside players like Ray Lewis, Randy Moss, and Packer great Jerry Kramer (how was Jerry Kramer not already in the Hall?). It goes without saying that I miss watching Urlacher play. 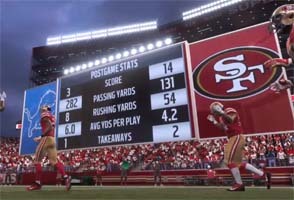 I also miss playing as him in Madden video games. I always admired the physicality, speed, and intelligence that Urlacher played with. But it wasn't just his on-field performance that I admired. I also appreciated the way that he always seemed to be watching his team from the sidelines whenever he was off the field. I remember every time Devin Hester returned a kick, or every time a back broke a big run, or the QB made a big throw, Urlacher was running down the sideline, chasing his teammates and hooting and hollering in celebration of their success. He was a consummate team player, and seemed to be an all-around quality person. Players like him, Devin Hester, Charles Tillman, and some non-Bears like Peyton Manning, are the reason that I started watching football more regularly. Hopefully, recent linebacker draftees Roquan Smith and Leonard Floyd can live up to the legacy of Urlacher, Butkus, and Singletary. Sadly, we didn't get to see first round (8th overall) draft pick Roquan Smith at all, nor did we see second year QB Mitch Trubisky. Smith is holding out over contractual concerns relating to the NFL's new helmet collision rules and other issues. I'm not going to talk much about the team's defensive performance, as it shouldn't be indicative of how they'll play in the regular season. I'll pay more attention to the defense in the next couple games. First of all, coverages and blitz schemes in the first game of preseason are usually very simple and rudimentary. Also, I'm assuming (and hoping) that Roquan Smith's holdout will be resolved by the time of the regular season. Backup Chase Daniel [LEFT] was outplayed by his backup Tyler Bray [RIGHT]. Even though we didn't see Trubisky, both of the Bears' backup QBs weren't too bad -- something that we don't often see from the Bears. Admittedly, it's the first week of preseason, starters aren't playing on defense either, and coverages aren't going to be too sophisticated. Chase Daniel had an early interception, but it was a fluke ball that bounded off a lineman's helmet, so not Daniel's fault. He threw another interception later, but that looked more like a miscommunication between QB and receiver rather than a bad throw or bad read. He petered out quite a bit after the first drive, but a lot of that had to do with receiver Bennie Fowler III dropping passes. Fowler better pick up his play if he wants a spot on the 53-man roster. Devin Hester becomes the best ever! He may not be a Chicago Bear anymore, but Atlanta Falcons kick returner Devin Hester is still one of my favorite NFL players, and he made headlines this past week. Hester returned a punt for a touchdown in Atlanta's Thursday night blowout win against the Tampa Bay Buccaneers, and in doing so, he surpassed Deion Sanders and became the sole record-holder for most combined return touchdowns in NFL history. 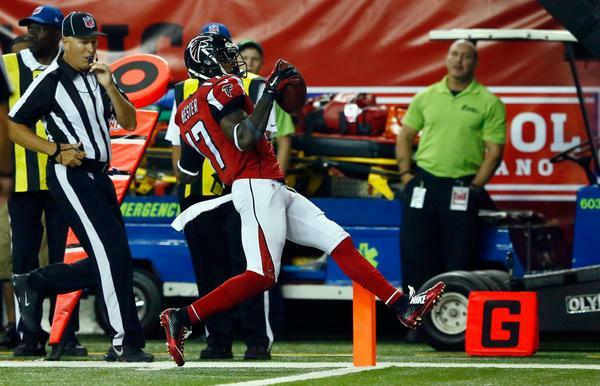 Devin Hester returned his record-breaking 20th return for a touchdown Thursday against the Buccaneers. Hester has been one of my favorite players since he burst onto the scene in Chicago in 2006. I was in college and starting to watch NFL football on a more regular basis (as opposed to just playing Madden), and Hester was one of the reasons that I started putting aside the time to actually watch Bears games. Any time Hester touched the ball, there was a chance for an exciting big play, and I wanted to be there for every one of them! I hoped for defensive stops (Brian Urlacher was another of my favorite players to watch) so that I could watch teams kick the ball to Hester. Geez, he was fast! 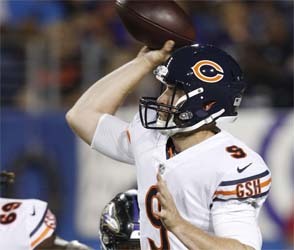 And it seemed that every week, he was returning another kick (or two) for a touchdown, single-handedly putting the struggling Bears back into games and making them playoff contenders. I still vividly remember a Monday night game in Arizona the week after my birthday, in which Chicago came back from a 20-0 half-time deficit to win the game - without scoring a single offensive touchdown! 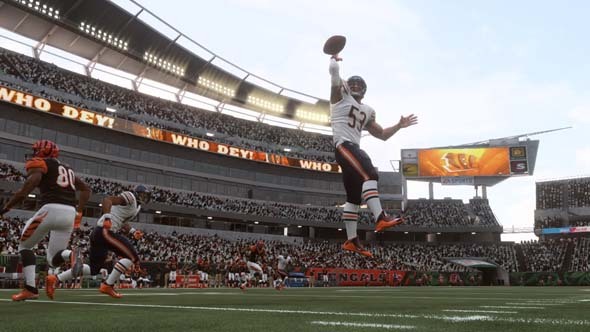 In the second half, Brian Urlacher stripped the ball from Arizona's running back, and Charles Tillman returned it for a touchdown to put the Bears within one score of pulling off the comeback. 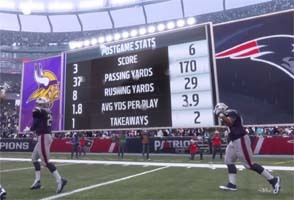 The game was eventually decided by a fourth-quarter punt that Hester (then a rookie) returned 83 yards for a game-winning touchdown.